Vapefly Holic RDAis the latest atomizer of Vapefly Galaxies MTL series, cooperated with an experienced Japanese vape reviewer HORICK TV. The Holic MTL RDA features unique AFC system with the 360°surrounding airflow and 6 levels airflow control. Holic RDA comes with a golden plated bottom feeder pin for squonker MODs. Holic RDA adopts easy single coil building deck, and deep juice well with top filling design without leakage. Get it for the excellent MTL vaping feeling. 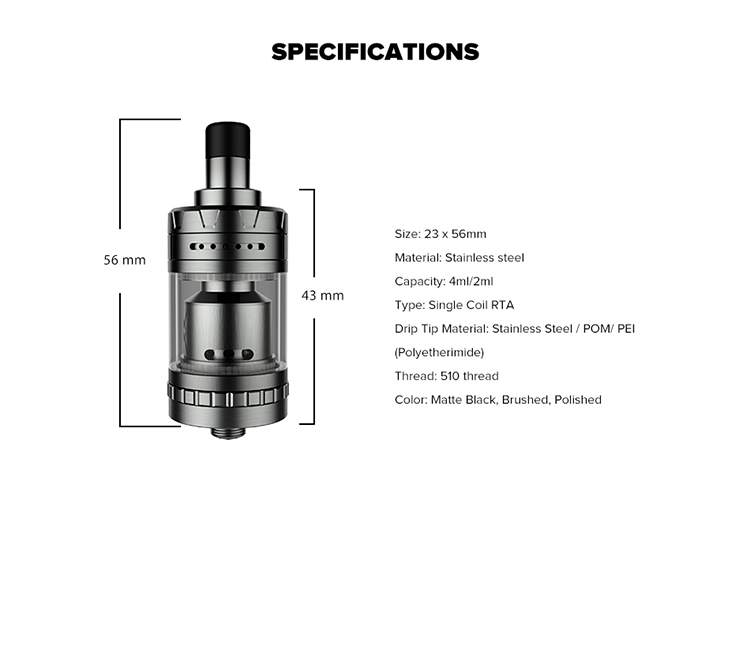 Previous Post: Vendita calda Freemax Twister,Aspire Tigon e Bonza Kit! !